Levi’s is toasting the future of its new Water<Less finish by harkening to the past: a time when its denim came from the Amoskeag Mill in New Hampshire, its copper rivets from metals mined in the American West, and the finished product stitched together at the company’s “overall factory” in San Francisco. Although globalization has transformed the industry in the 138 years since, Levi’s is offering a throwback range of dungarees (501s, 505s, and 511s) and trucker jackets in various Water<Less finishes, all handmade in the United States. Made from ring-spun selvedge fabric that was woven and dyed at White Oak Cone Mills in North Carolina—on vintage shuttle looms, no less!—the collection is everything we want from an American icon. More’s the pity then that the pieces account for only a fraction of the denim giant’s inventory, and a limited-edition one at that. 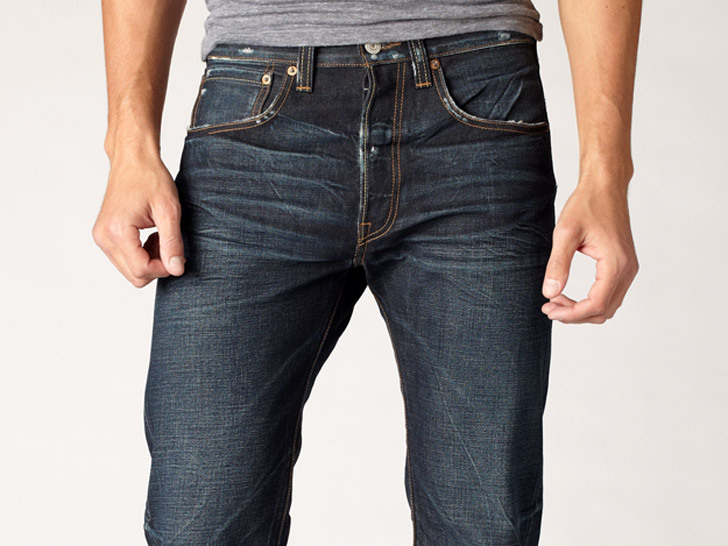 The Spring 2011 Water<Less Jeans collection will save approximately 16 million liters of water. Still, Levi’s Water<Less method, which uses an average of 28 percent and up to 96 percent less water than conventional finishing techniques, is a promising trajectory. With over 1.5 million pairs of jeans in the new Spring 2011 line, the Water<Less collection will save approximately 16 million liters of water, according to the company. The line also includes the traditional rigid “raw” finish which, by its nature, utilizes no water in its production. To educate its customers, the range incorporates Levi’s new “care tags for our planet”—clothing labels that encourage denim owners to wash cold, line dry, and donate castoffs to charity. Despite our qualms about overseas outsourcing, there’s at least one upside to Levi’s global identity. The company has plans to introduce its water-saving techniques to multiple supplier factories, a move that will compound agua savings around the world. Here’s hoping that Levi’s hopeful example will effect a real impact on sustainability. + Made in the U.S.A. When you go to their site for the "made in the USA" line, it qualifies that they are made with imported fabric. How about, "made in the USA, eco, made with USA or at least fair-trade, eco-made fabric. How do we know that whoever is making the "imported" fabric is receiving a living wage and that the indigo dyes are not poisoning some village somewhere? Levi's is toasting the future of its new Water<Less finish by harkening to the past: a time when its denim came from the Amoskeag Mill in New Hampshire, its copper rivets from metals mined in the American West, and the finished product stitched together at the company's "overall factory" in San Francisco. 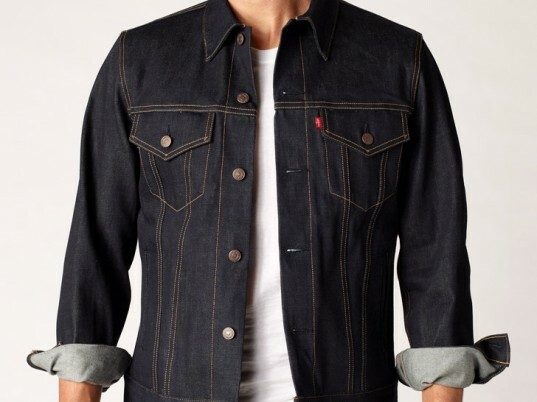 Although globalization has transformed the industry in the 138 years since, Levi's is offering a throwback range of dungarees (501s, 505s, and 511s) and trucker jackets in various Water<Less finishes, all handmade in the United States.